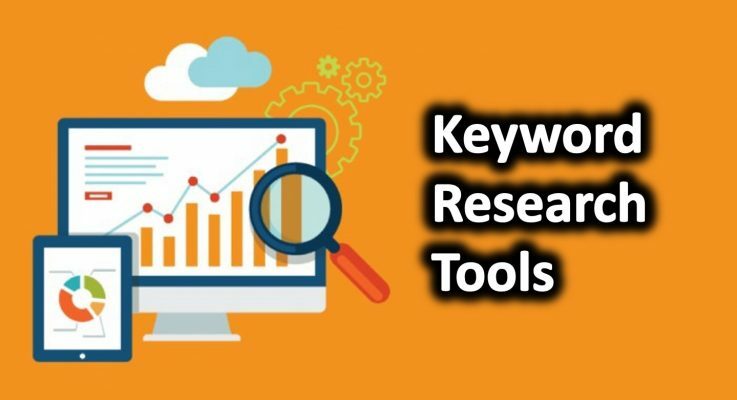 If you are a part of SEO, PPC or content marketing campaign then Keyword Research Tool or keyword analysis tools is extremely important to rank up your websites. In the field of online marketing and digital marketing, if you are not using the right keyword, then your content doesn’t exist anywhere among the audience. Without the right keyword, you won’t be getting relevant traffic on your website nor leading to any profits. Currently, the internet is filled with articles telling you about various Keyword research tools or keyword analysis tools. These articles might be accurate about the services but, they fail to cover the tool’s unique points often leaving the customer clueless as to which tools should be their first pick. We on the other hand, believe in offering accurate knowledge of certain specific tools, informing the users about all the important perks of the specific tool. To make things easier for our readers, we have made up an ordered list, stating all the important features and the drawbacks you as users should be aware of. I hope by the end of this article you will be able to make the decision form the other available choices. As the internet is filled with many choices we make sure you are not left out. Google keyword planner is the Best Keyword Research Tool or keyword analysis tools when it comes to search for organic keywords for your website. If you are planning on doing SEO and PPC together, Google keyword planner can help you determine which keywords volume is high and which will give you more benefit. Jaaxy is another best Keyword Generator Tool or Keyword Research Tools that offers a lot of key suggestions to the users. With the help of Jaaxy tool, user can see the volume of the particular keyword and also how much potential traffic would it bring. Through this Keyword Analysis Tool, you can plan your strategy accordingly and have higher chances of success. Keyword tool is basically designed for advertisers. But it can also work as a Keyword Research Tool for you. This tool is free for the first 750+ keywords suggestions. You can also find the long tail keyword for YouTube, Bing, Amazon and the app store. Users who might not be aware how to rank their website and business they can take help from Keyword tool. There are so many Keyword Analysis Tools or Keyword Research Tools that offer suggestion based on your specific domain but SpyFu Keyword Research is best of all. This tool offers reports for the keyword overview, related keywords, ranking history, backlinks, keyword groupings, SERP Analysis, AdWords Advisor for online marketing. If you are looking for an idle Keyword Generator Online or Keyword Research Tools that gives you best result in the most innovative way then believing MOZ keyword Explorer is the most responsive tool. While providing the feature like keyword generator, it also dedicated to “organic CTR” and “Priority” graph for each keyword. These two additional features will give you an idea about how many clicks you could get from the selected keywords. A keyword is the heart of SEO and content so here we are going to discuss KWFinder as the Google Keyword Research Tool that shows you what domain are targeting the keywords, the page’s backlinks, social shares, and traffic. It also helps the users to dig into local keyword research result by city, state or by country. Google trends is the Google Keyword Search Tool or Keyword Research Tools that also improves the way you implement keywords. If you want to check the popularity of the keyword in today’s time then you can take help from Google Trends. We have above discussed so many tools for a keyword but here I found google trend is the most responsive and popular tool among all. When you go for any keyword research tool, what do you find at first sight? Ahrefs keyword explorer tool uses clickstream data to give you different results. It shows how many clicks you will get from the search engine when you go with Ahrefs. This is one of the best examples to find how much traffic particular keyword has. If you are a fan of using all in one apps then, Strepsat is the best platform for all your SEO needs. The keyword planner of Strepsat is by far one of the best on the list with additional features offering data and stats of your competitor. The best way to use Strepsat is to avoid using keywords that show up on Amazon or Wikipedia. Suggestion Keyword Finder is the best because it is free and offers many additional features. I would highly suggest this Keyword Research Tool Free to the ones who are just getting started with SEO. The simple UI of Suggestion Keyword Finder makes it an idle tool for any rookie. Why just for rookies? Since, it’s a free to use Keyword planner, you don’t get all the features you would find in a paid- premium version of a Keyword Planner. Apart from this drawback, Suggestion Keyword Finder is a great tool. There are always people who are never satisfied with the current data. They constantly seek for more; if you happen to be one of these people then Keyword Snatcher is for you. Keyword Snatcher offers not two, three, or a dozen keywords for one seed word. Instead offer users with at least 2000 related keywords from a single seed word. Though, users can still filter out the important keywords by fiddling with the filter feature. So, this was our long list of the top keyword research tool or keyword analysis tools. Hope I helped in making your decision a little easier. I have tried covering all the major Keyword research tools but, if I happen to miss out any, please let me know. If you’re still unsure about your choice, please leave a comment down below and I will be happy to help you out as soon as possible.